When you find yourself in need of auto repair or service, you want to be sure to go with an auto shop you can trust. 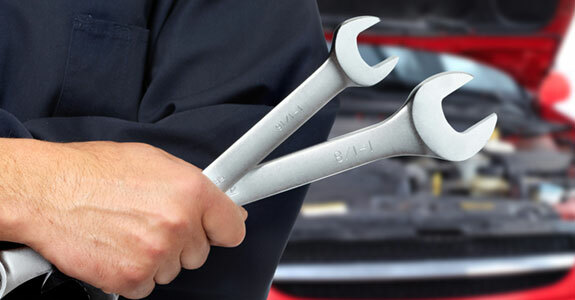 At Rouse’s Auto Repair, we have built our reputation as the top mechanics in Libertyville, IL. We can perform any repair or maintenance job with an expert level of skill and care that has kept us in business for over 30 years. Whether you are in need of engine repair, brake service, maintenance or oil change service in Libertyville, IL, Rouse’s Auto Repair is your source for honest work at a price you can afford. Auto Maintenance: We offer affordable maintenance inspections for vehicles that have reached the 30K, 60K and 90K mile marks. Rouse’s Auto Repair also offers expert brake repairs and oil changes in Libertyville, IL. Engine Repair: engine repair is something that is best handled by an experienced mechanic in Libertyville, IL. At Rouse’s Auto Repair, we can perform engine repair on all makes and models of cars and trucks, adding years to the life of your vehicle and getting you back on the road quickly. Brake Repairs: If your brakes are underperforming, it can be a hazard to you and everyone around you. At Rouse’s Auto repair, we are proud to offer complete brake repair services, including pad and shoe replacement, line bleeding and replacement and full braking system overhauls. Tires: Here at Rouse’s Auto Repair, we also carry the best in all terrain and all weather tires. You want to make sure that when you are on the road, you are safe no matter what. We carry multi treat, wet and dry weather, truck tires and more. Come in today for the best selection of auto tires. We are fully committed to the safety and satisfaction of all of our customers. That is why we are proud to offer a guarantee on all of our work up to 12 months or 12,000 miles. When it comes to auto repair, Rouse’s Auto Repair has earned a reputation throughout Libertyville and the surrounding area for providing superior quality work at honest prices. Our operational model is built on customer referrals and repeat business, and we are proud of the results. Through hard work and honest dealing, Rouse’s Auto Repair has established itself as the most trusted auto shop in Libertyville. If you have any questions or would like to schedule a repair please contact us at 1-847-362-8950.